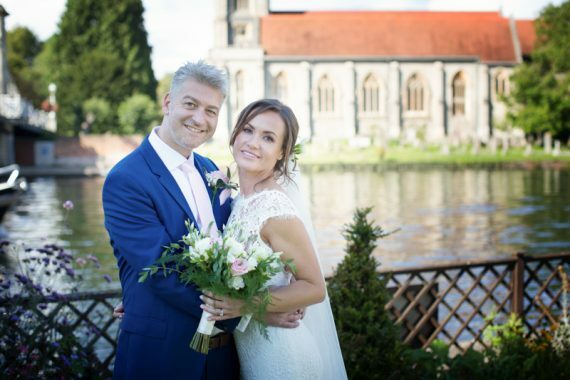 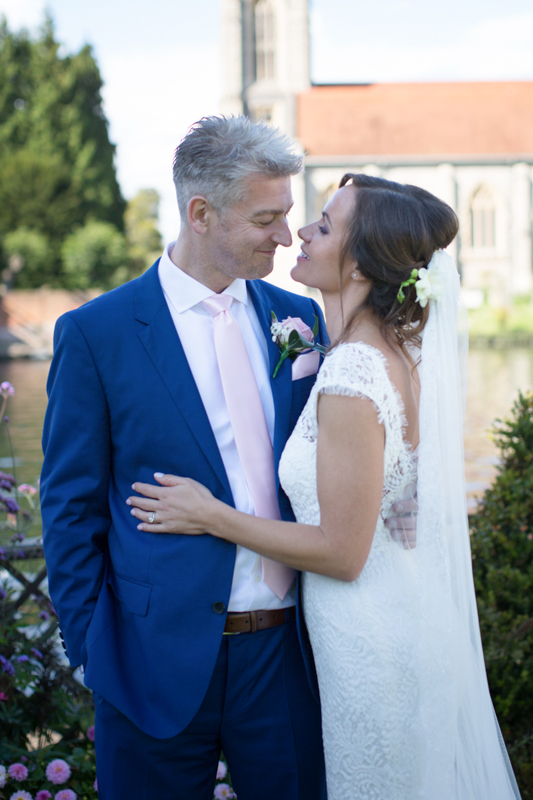 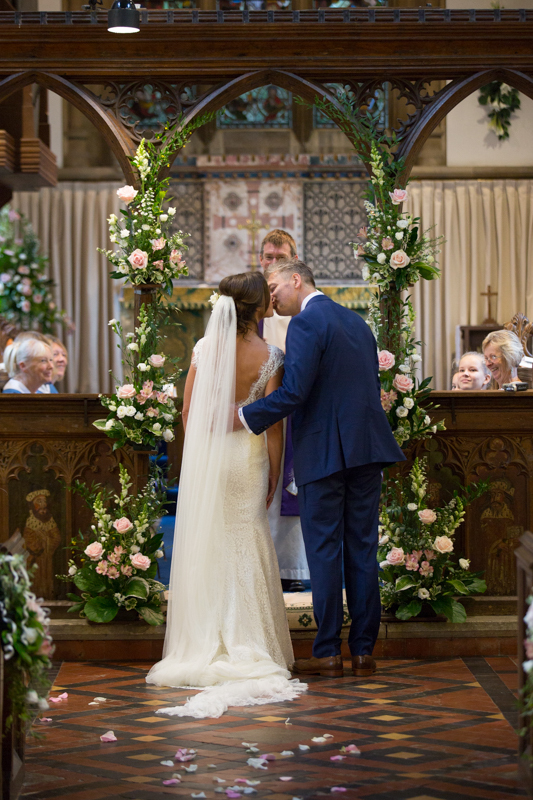 Viktorija and David were married at St Dustan’s Church in Monks Risborough followed by a riverside wedding reception at Compleat Angler in Marlow. 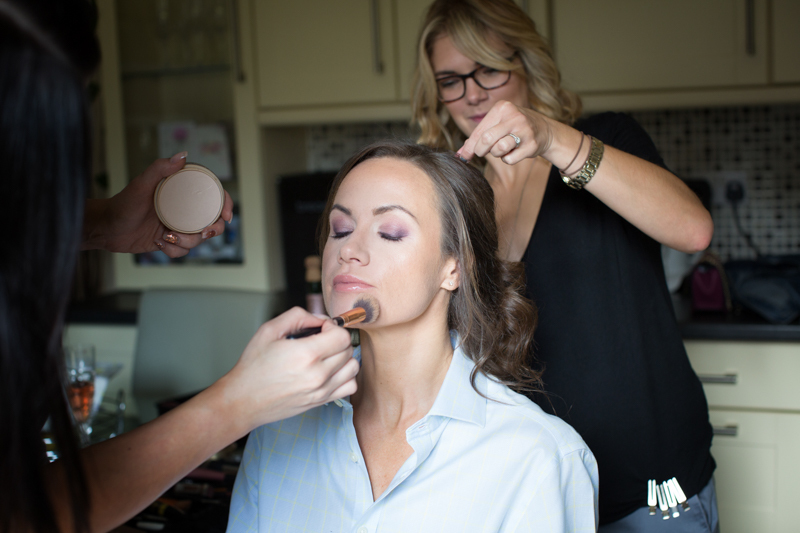 I met Viktorija and her family getting ready at their home in Princes Risborough. 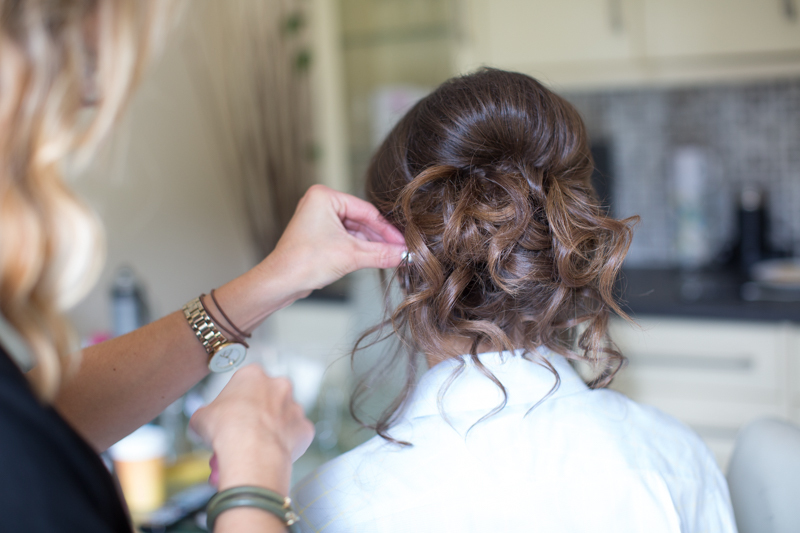 It was a very calm house when I arrived with hair and make up already started. 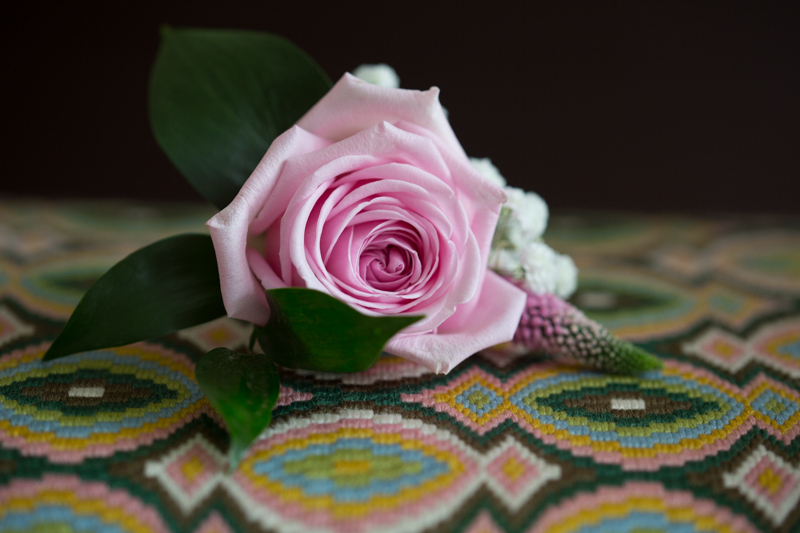 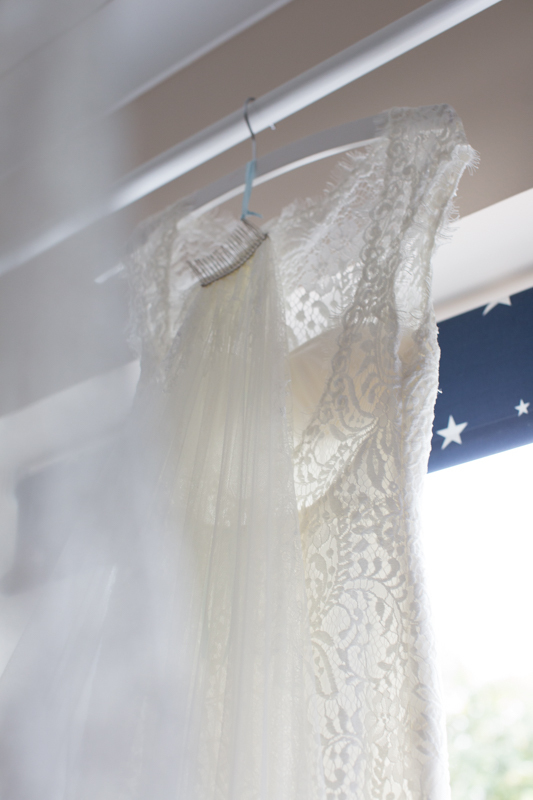 As usual, I take lots of pretty detail shots of the wedding flowers, dress, shoes and any jewellery. 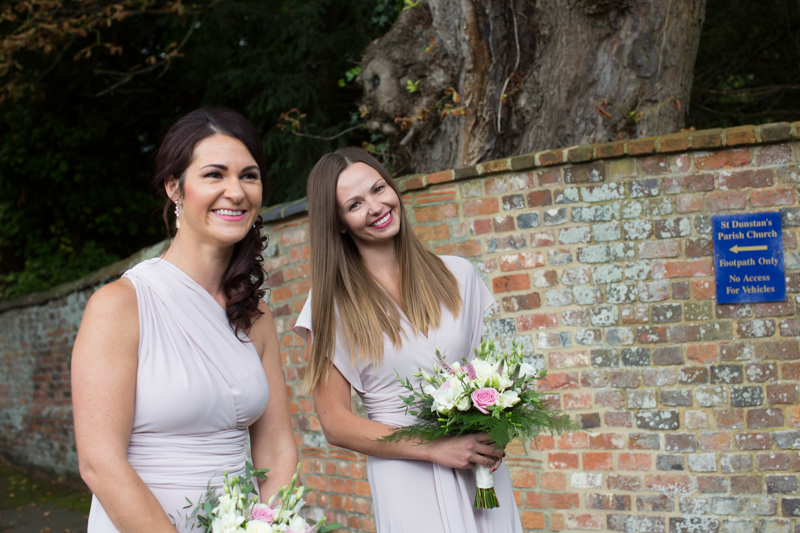 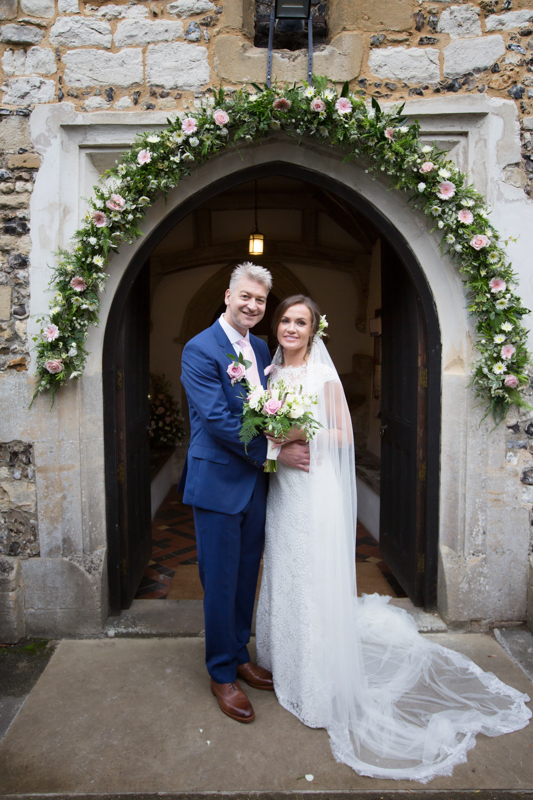 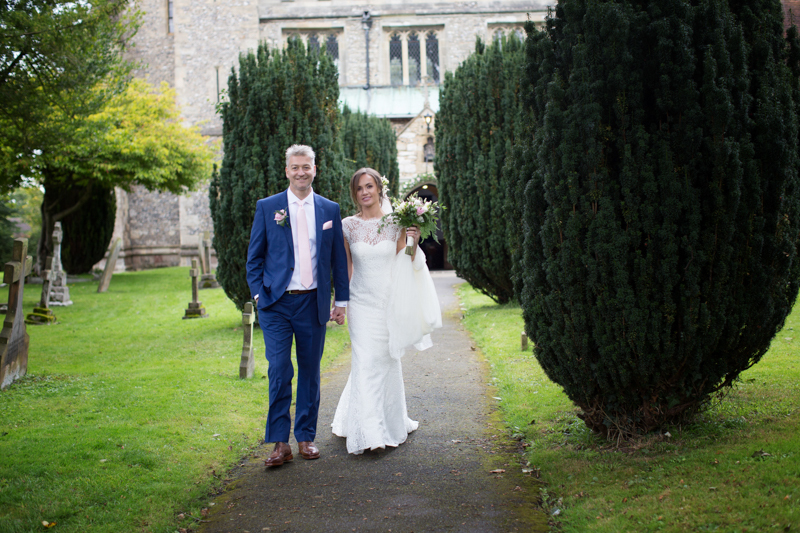 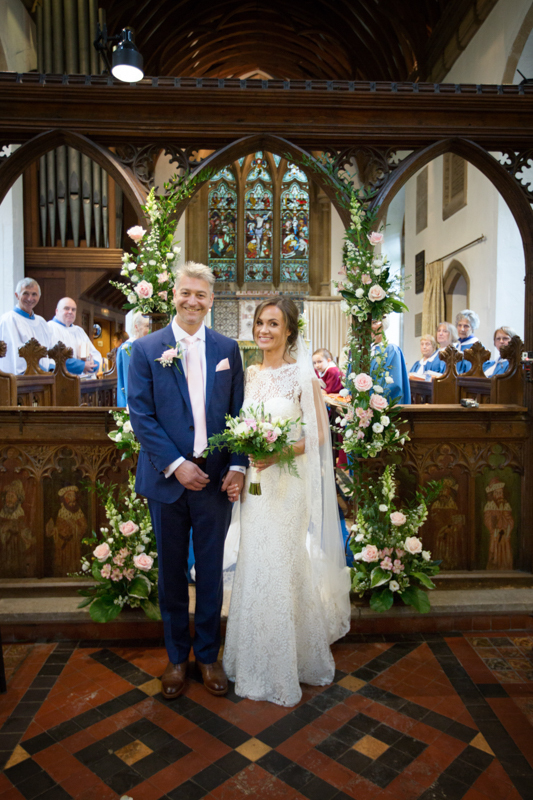 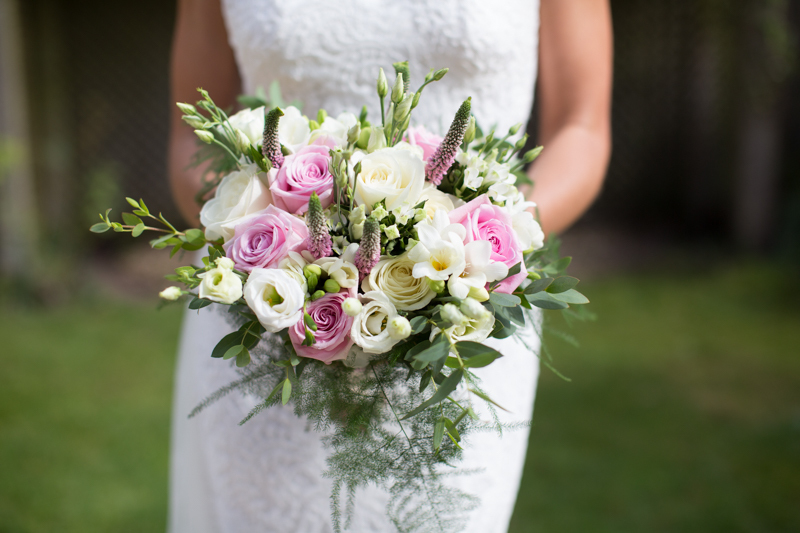 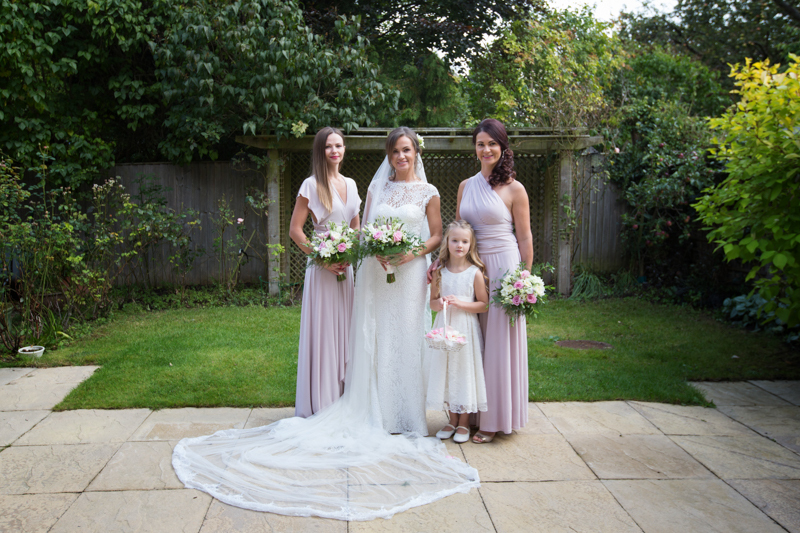 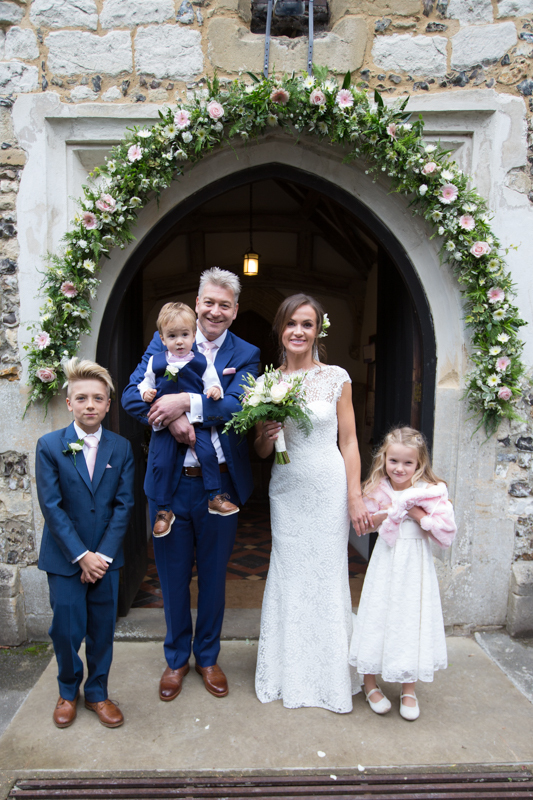 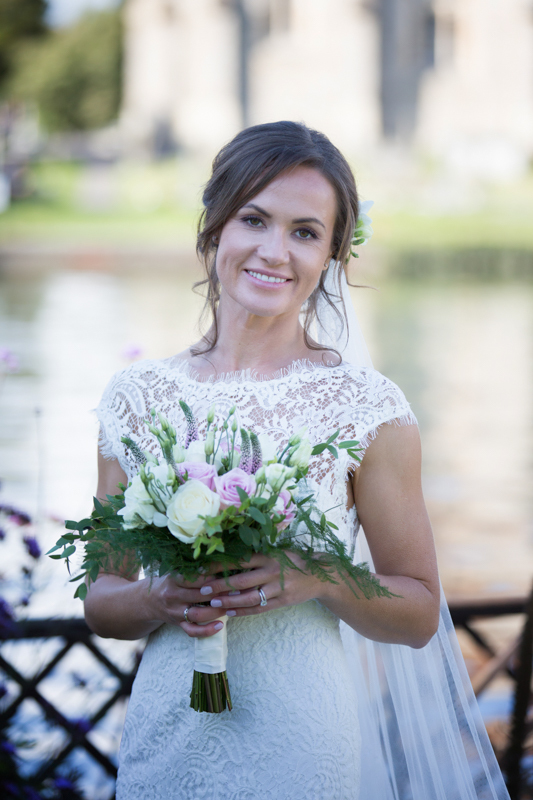 Viktorija had a stunning wedding dress from Anna McDonald Bridal in Thame. 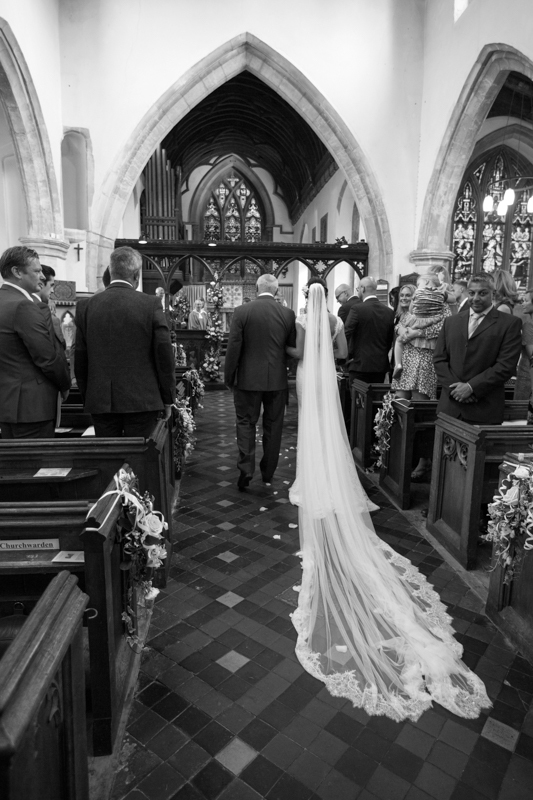 She had borrowed the most amazing, long fine silk veil from her sister. 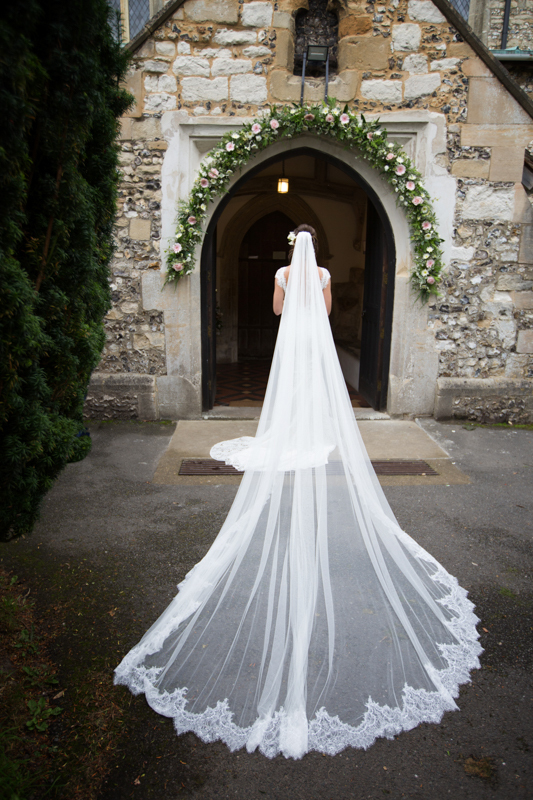 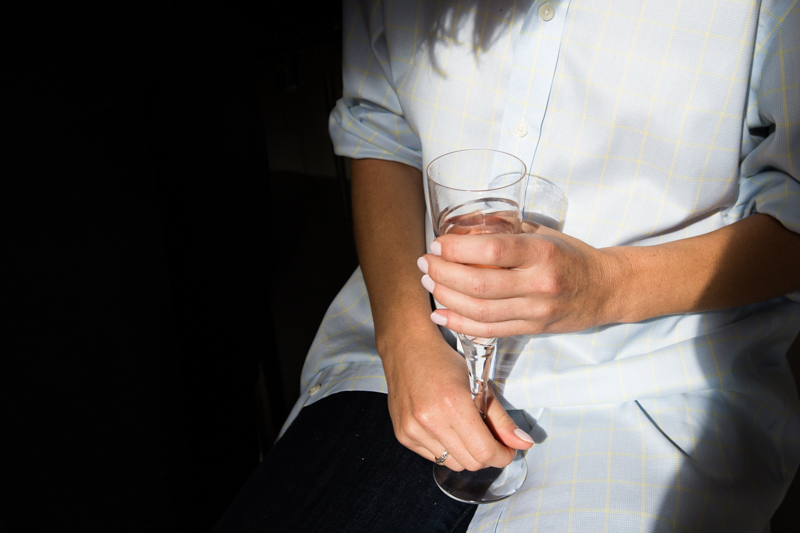 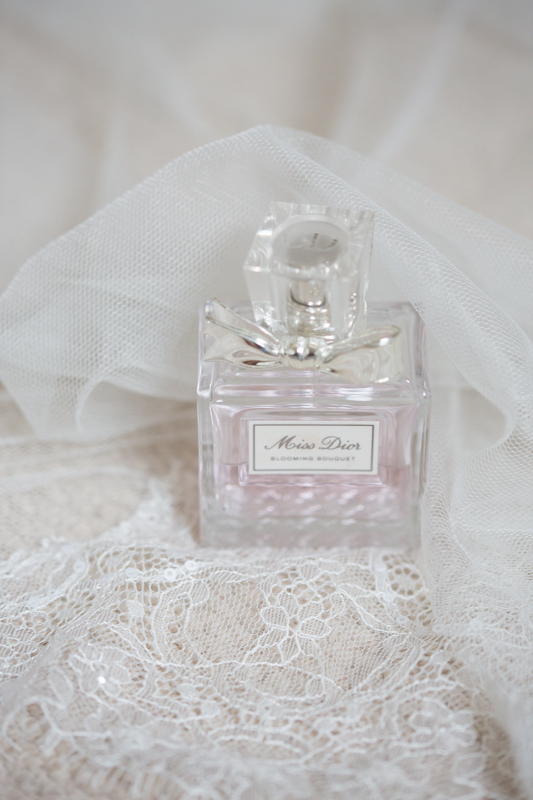 It was the longest veil I had even seen, so beautifully fine and delicate. 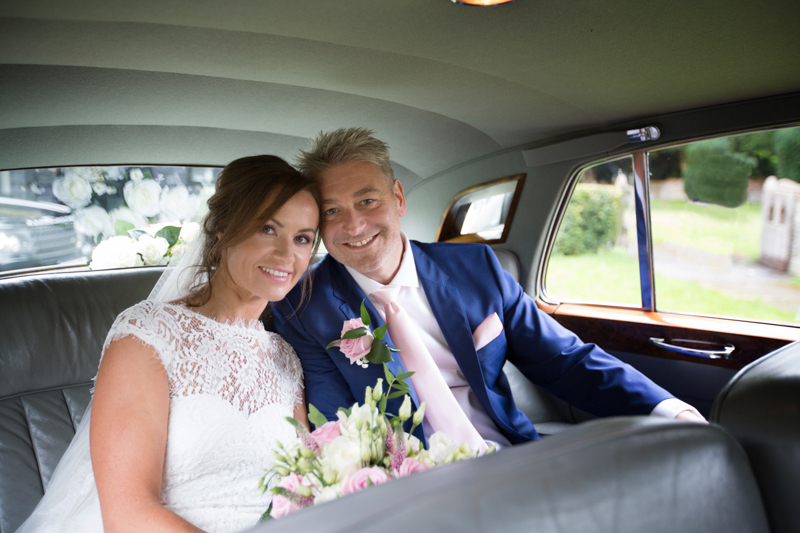 The bride and her family arrived at St Dustan’s Church in Monks Risborough in a vintage car from London Legend Wedding cars. 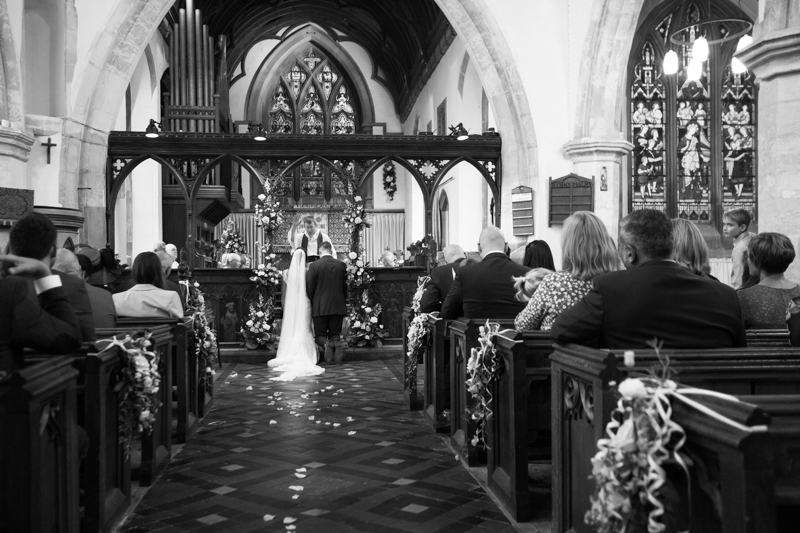 A very pretty church, inside and out. 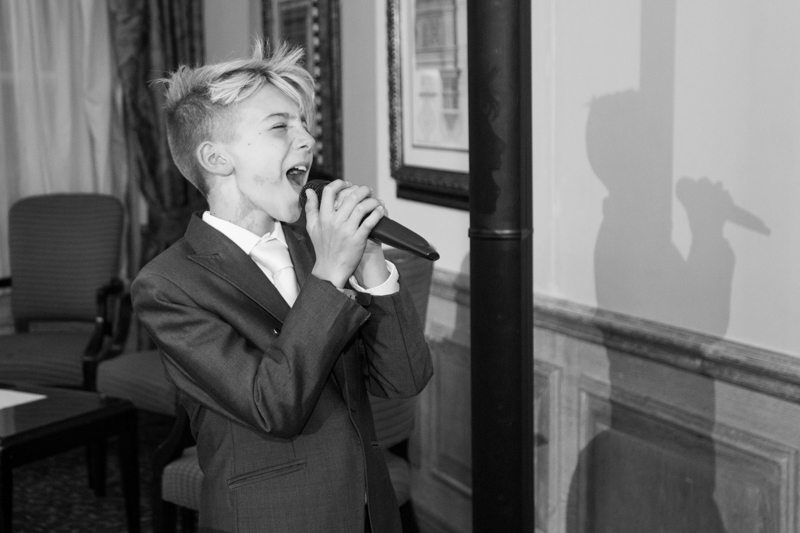 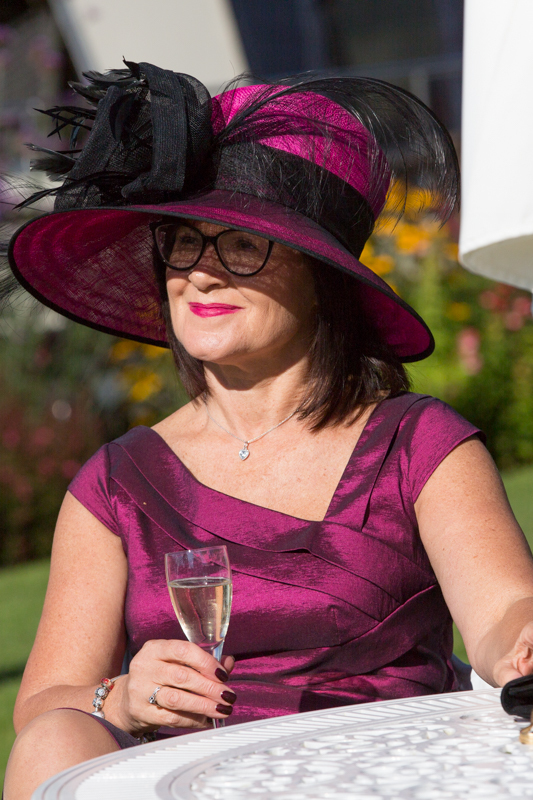 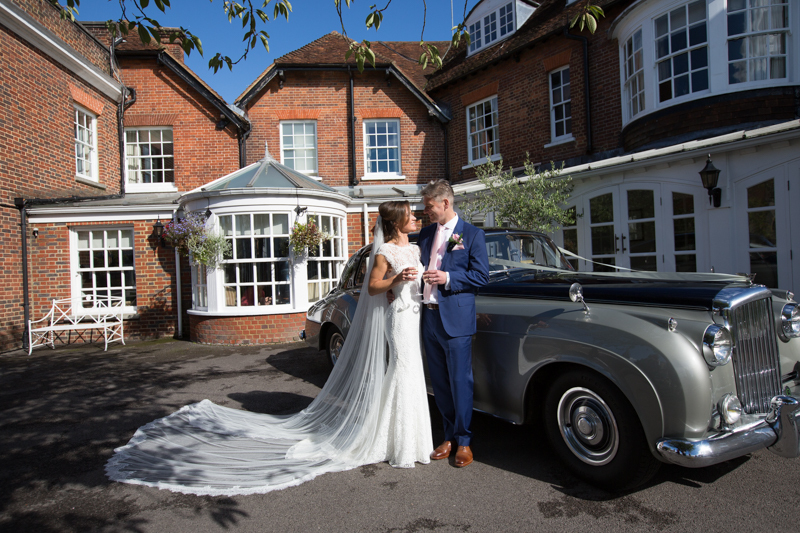 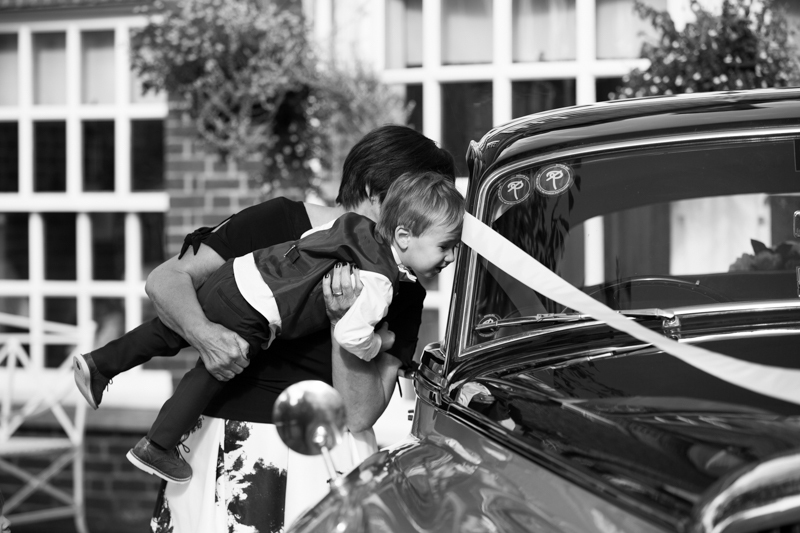 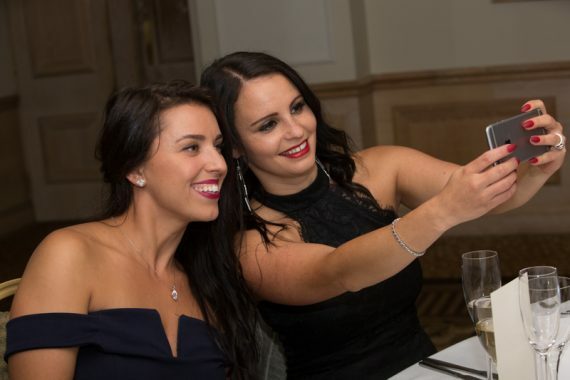 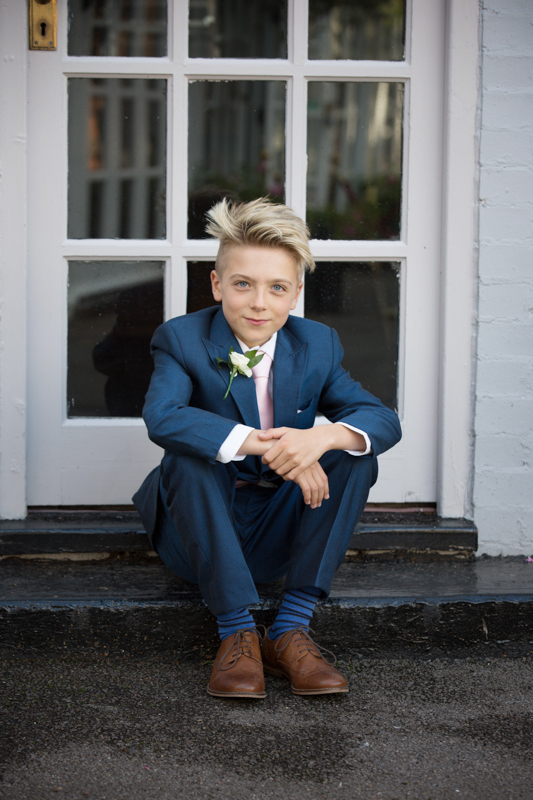 After the ceremony, guests drove to McDonalds Compleat Angler Hotel in Marlow. 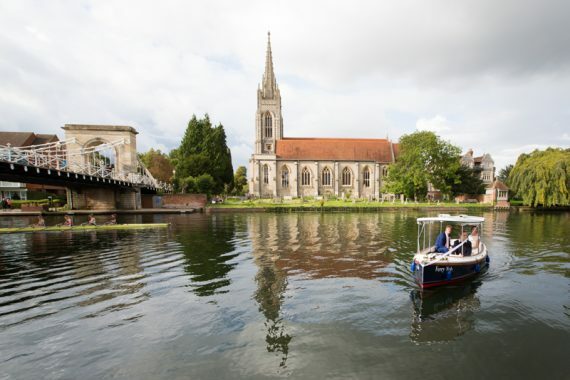 It is situated on the River Thames by historic Marlow Bridge in Buckinghamshire. 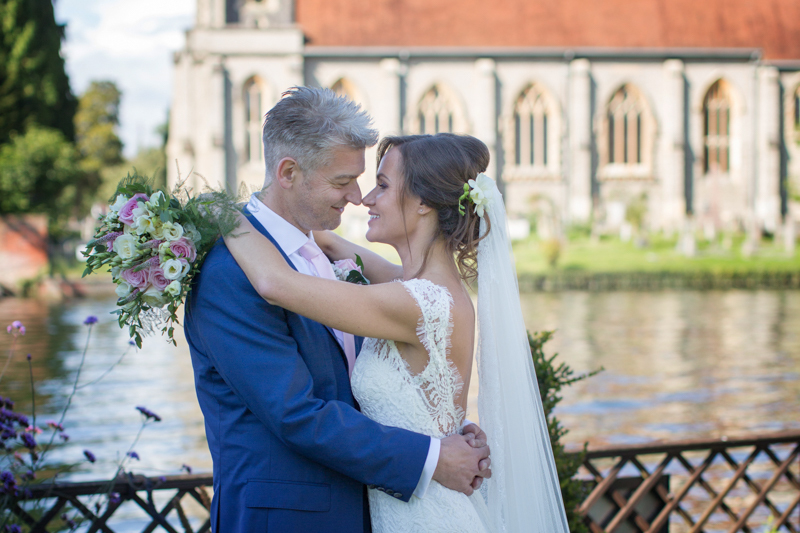 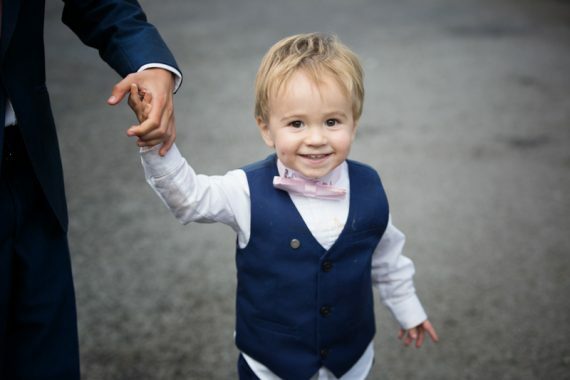 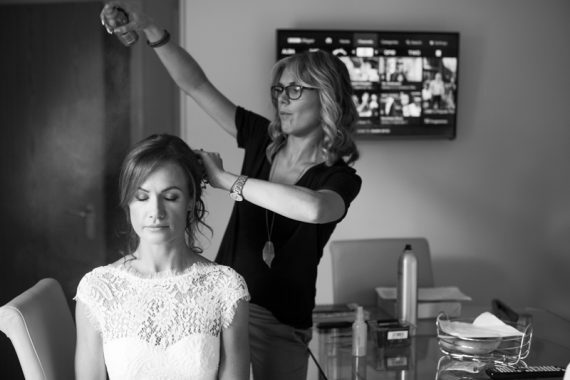 Viktorija and David wanted a their wedding to have a relaxed and family feel. 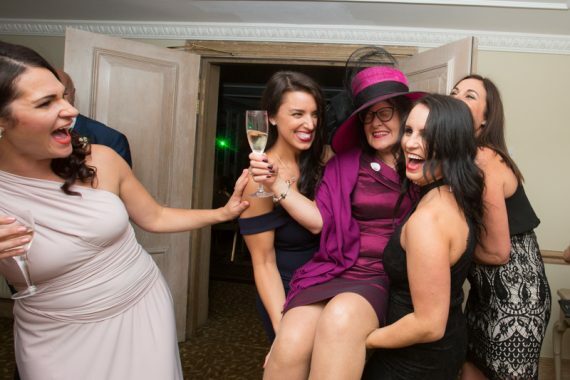 Therefore, their short trip on the hotel’s private launch was the perfect opportunity for them to be on their own and enjoy the moment. 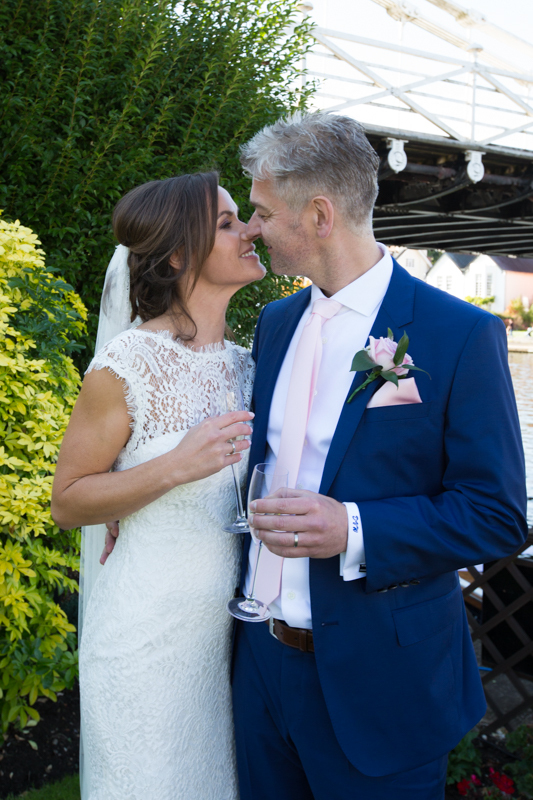 Guests mingled in the gardens of the hotel and we took the opportunity to take a few couple shots of the bride and groom as well as lots of candid guest shots. The sun was shining and guests enjoyed the riverside location with Marlow church and the bride in the background. 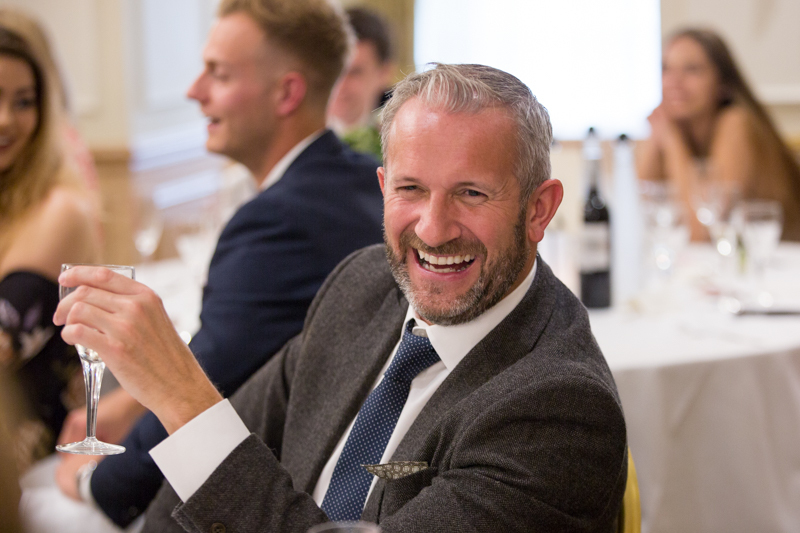 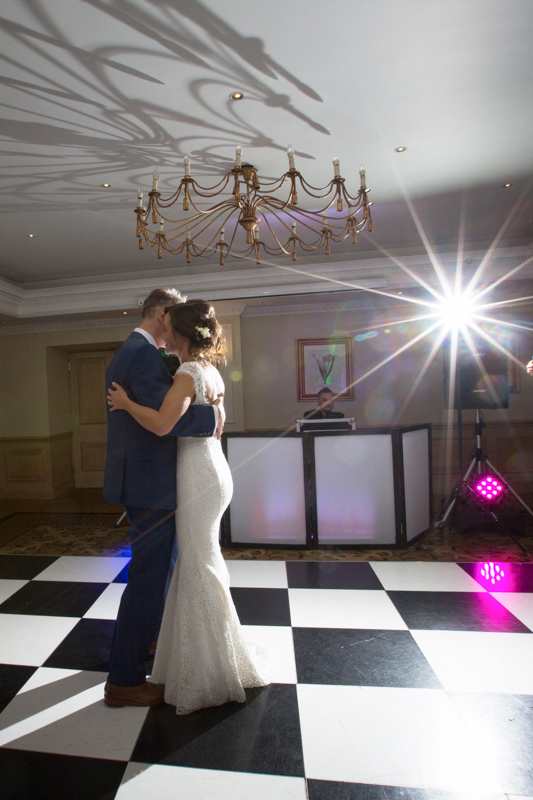 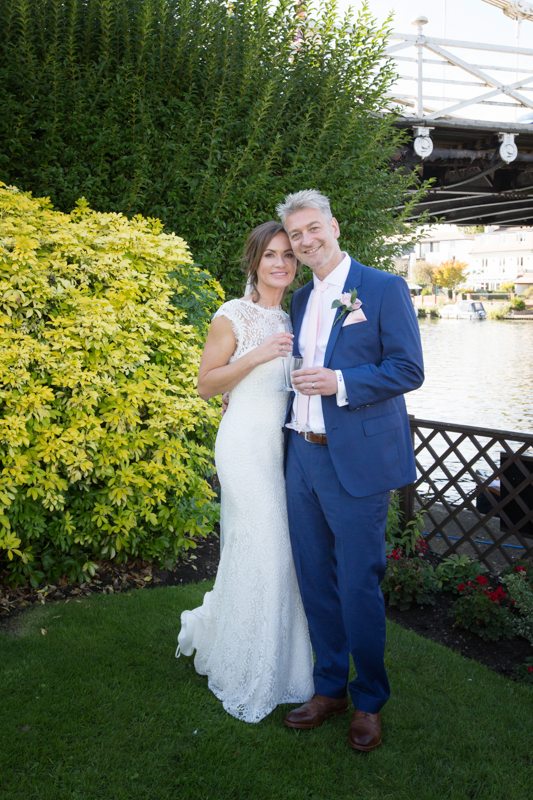 The Compleat Angler is situated in a beautiful spot and one of my favourite wedding venues in Buckinghamshire. 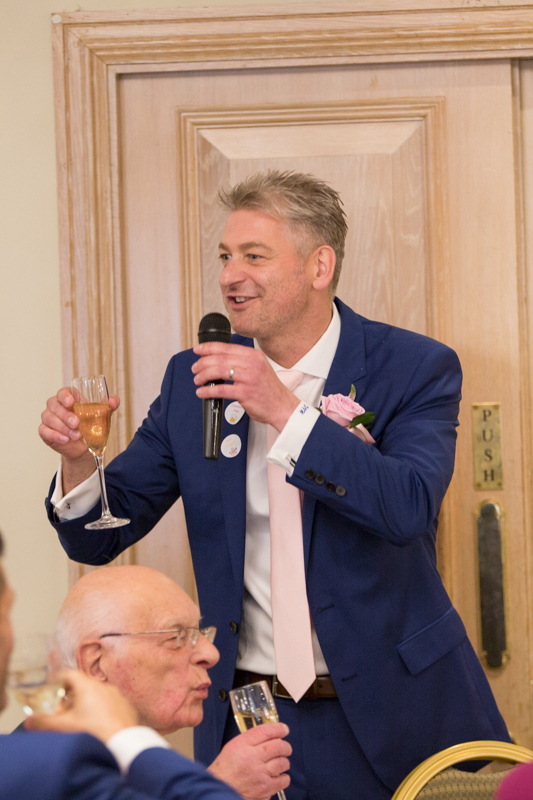 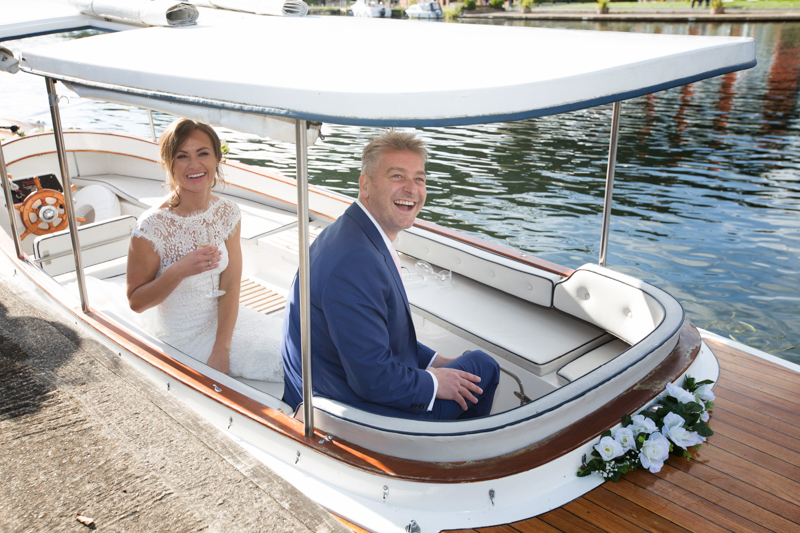 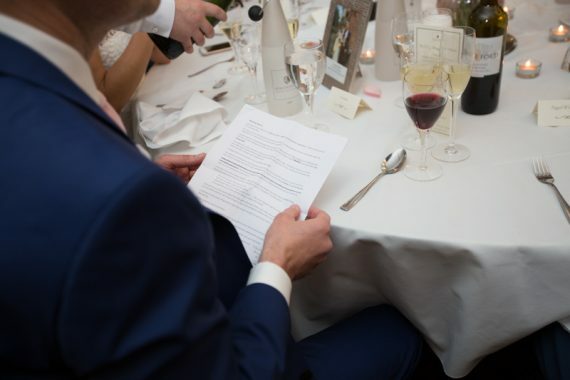 If you are planning a riverside wedding reception at Compleat Angler in Marlow, please take a look.